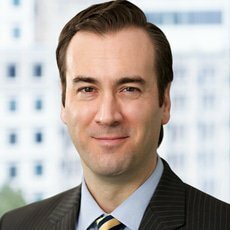 Matt Latella is a veteran in Baker McKenzie’s litigation practice group. A trial lawyer entering his 20th year with the firm, Mr Latella has a wealth of experience recovering assets in fraud matters, regardless of where the funds are located. He has deep expertise with matters involving Mareva injunctions. While on secondment to the firm’s London office, he focused on multi-jurisdictional fraud litigation and ‘trust-busting’ asset tracing proceedings in multiple offshore jurisdictions, including in appeal proceedings before the UK Judicial Committee of the Privy Council. Over the years, he has handled many complex commercial disputes, resulting in the successful recovery of many millions of dollars. In matters where the preservation of evidence held by adverse parties was at risk, he has obtained and overseen the execution of ex parte Anton Piller orders, allowing the evidence to be seized and preserved. Mr Latella has litigated fraud matters at all levels of court, including the Ontario Court of Appeal and the Supreme Court of Canada, representing a wide range of clients from large multinational Fortune 500 companies and global financial institutions to small businesses and individuals.